My first visit to the Ovation Seven-Cultivation Academy and Hotel was last December. During my Xmas-New Year vacation in China I was invited by the president of Seven-Cultivation Academy to do a presentation on “Stress Management with Breathing-Based Mindfulness Training,” and to discuss the possibility to collaborate with them on health and wellness subjects. I had never heard about this academy previously, and the address they gave me is the Ovation Seven-Cultivation Hotel, a five-star hotel located in Langfang, Hebei, between Beijing and Tianjin city. I was a little confused about where I was heading for the academic exchange. The entire process of invitation and discussing itinerary of my visit was very professional, and in details. As soon as I walked out of the limousine that picked me up, I could feel the strong Chinese-culture and relaxing atmosphere. 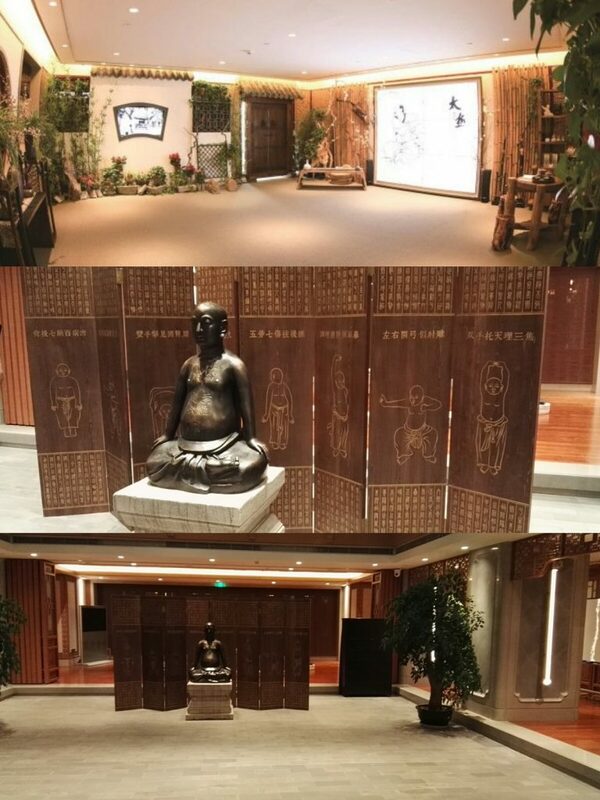 After a short introduction by the hostess, I understand that Ovation Seven-Cultivation Hotel and Seven-Cultivation Academy are located in the same complex with separate operations, while the entire hotel and related buildings are decorated with the theme of Seven Cultivation Rituals. 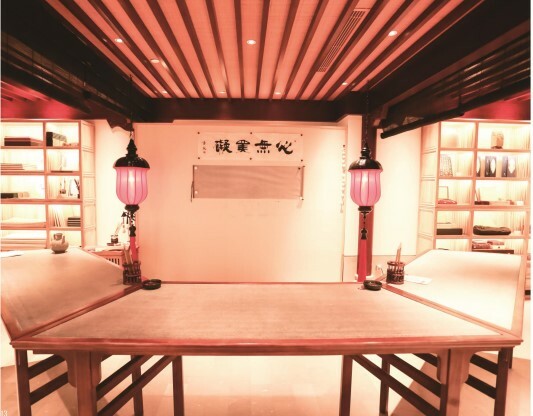 Based on the traditional Chinese health preservation (Yang-sheng) principles and support of the modem life science system, the Seven Cultivation Hotel provides the guest with a different kind of place to stay, live and enjoy life. 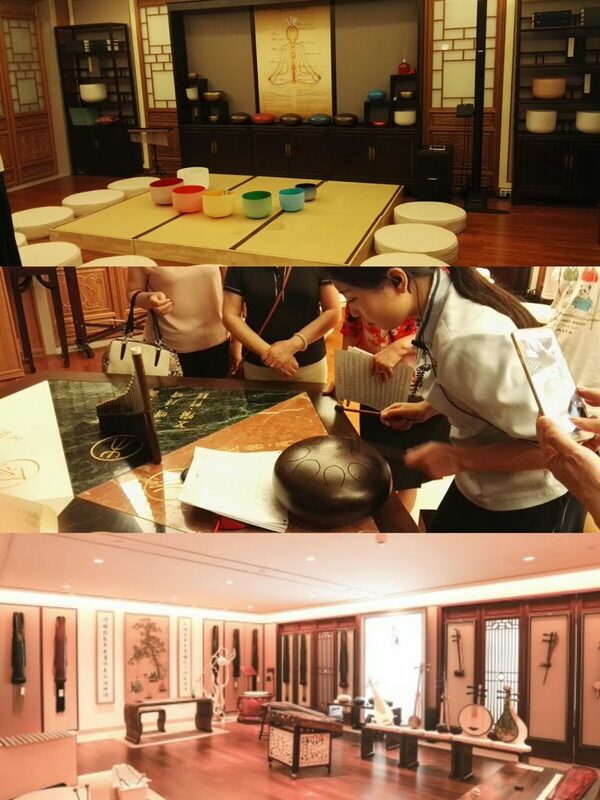 The hotel and the affiliated academy help its guests reinvigorate energy, regulate qi (flow of vital energy), attain mental tranquility, as well as repair and improve the body’s self-healing ability by conducting seven kinds of cultivation rituals, namely virtue, diet, Kong, calligraphy, incense, music and flower. 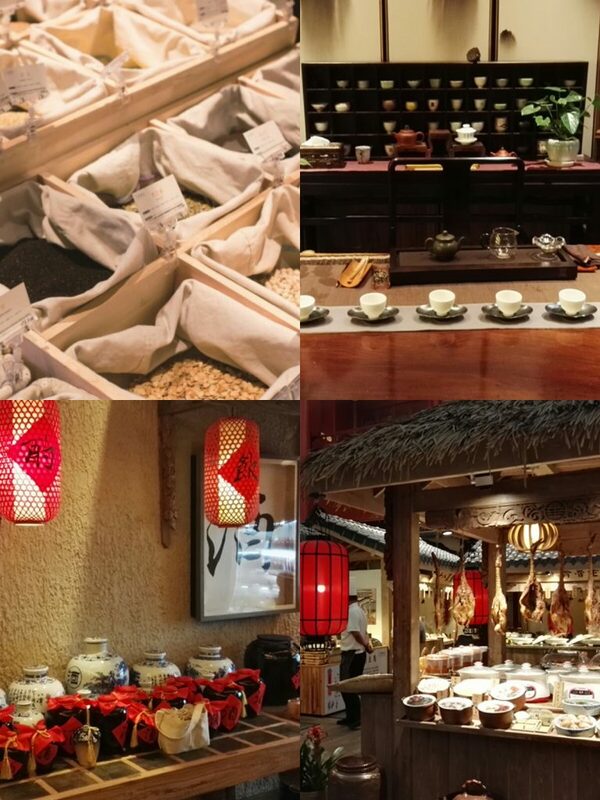 By cleverly integrating its health preservation (Yang-sheng) products featured by seven cultivation rituals with its accommodation, restaurants, conference rooms, fitness center, leisure and other facilities, the hotel establishes a brand new hotel service system characterized by Chinese Yang-Sheng culture, especially health enhancement by the seven cultivation ritual. 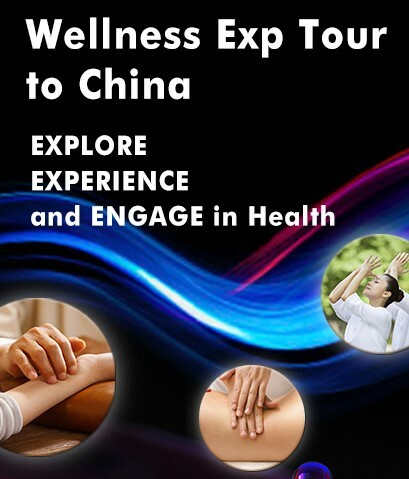 It aims to demonstrate the essence of Chinese health preservation or yang-sheng culture in an all-around way and convey the wisdom of Chinese lifestyle. What Are the Seven Cultivation Rituals? The tradition of Seven Cultivation rituals dates back to the era of Fuxi and Huangdi (two legendary Chinese rulers more than 3000 years ago) and has been passed on through the Han and Tang Dynasty and many generations later! The seven categories of the rituals, namely virtue, diet, kungfu, calligraphy, incense, music, and flower, are very beneficial to cultivating the mind, appeasing the body and prolonging the life. The foundation of the one’s life lies in yin and yang, the two opposing principles in nature. 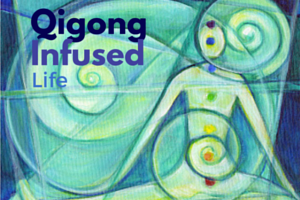 Aggregating, regulating, guiding and running the energy flow in one’s body is crucial component in the Seven Cultivation rituals. As the foundation of the Seven Cultivation rituals, the virtue builds up one’s integrity; as the lifeline of the Seven Cultivation rituals, the diet provides people with vigor; as the trunk of the Seven Cultivation rituals, the kungfu (qigong & Taiji etc.) regulates the spiritual energy of the nature; as die texture of the Seven Cultivation rituals, calligraphic writing adjusts ‘people’s minds; as the scent and taste of the Seven Cultivation rituals, the incense extracts the “wisdom of the time; as the rhythm of the Seven Cultivation rituals, the music harmonizes everything on planet; and as the glorious chapter of the Seven Cultivation rituals, the flower serves as a descent being across the universe. By reading and learning from ancient and modern classics, one can build up his integrity, understand his own mind, forget about all worries and overcome all tears. The cultivation of virtues can give someone the personality of caring about the whole world, Having been passed on for generations, virtues can promote social cohesion, centripetal force and the prime power driving harmonious coexistence, thus a benefit for all future generations. Water and grains’ s vigor comes from the vitality of the five basic elements. It can regulate your digestive system (spleen and stomach) and nourish both your body and mind. By practicing the diet ritual, one can reexamine the relationship between the earth and human beings, rebuild his veneration to the mother land and gain skills to choose the right grains, fruits and vegetables to eat. 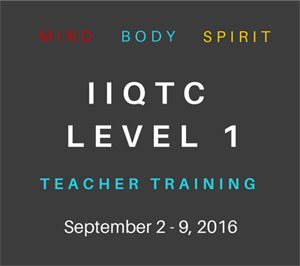 In doing so, one can maintain good mental and physical health. Practicing the kungfu (including kungfu, Taiji and qigong) can mobilize the meridians and regulate the spiritual energy of the nature throughout the body. By the end of the ritual, you will forget about both the physical world and yourself, get rid of the diseases that haunt you and enhance your physical health. Performing the kungfu virtual can raise people’s awareness for their fitness. Strengthen the regulation over the body’s natural energy, and bring back a healthy lifestyle. The style of the calligraphy reflects the essence of the texts. By conveying messages both physically and mentally, calligraphy can balance one’s body and mind. Performing the calligraphy ritual can benefit one’s mental and physical health, enhance his aesthetic taste and spur inspiration. Since characters and words are the carrier of a culture and the DNA of a civilization, bringing writing back to people’s life has the benefit of enabling words to fully display the vigor and vitality of the civilization. 5. 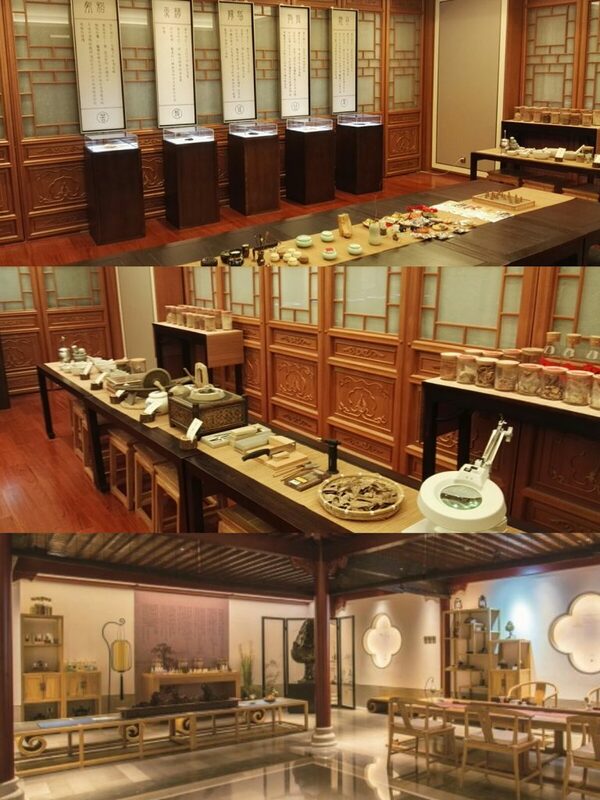 Incense Cultivation 香修– Only Good Virtues Can Emit a Truly Aromatic Scent. By appreciating the aromatic scent virtues, one can absorb the spirit of the sun and the moon; and by maintaining a dynamic and static lifestyle, the energy flow in one’s body can be regulated and his life prolonged. Performing the incense ritual reactivate one’s ability to draw nourishing elements from the environment. The quality of life depends on one’s taste in getting rid of the old and inviting in the fresh. One can gain a leisure and elegant pleasure from the aroma. By breathing in and out the scent, one’s temperament can be sublimated. The sound of the nature makes the player in rhythm with the universe. The music can not only bring pleasurable sensational experiences, but also cleanse the soul. Performing the music ritual can harmonize and unity one’s visual and acoustic senses. Overcoming all man-made barriers, music expresses people’s praise and comprehension of the broad spectrum of life. It lets you detect the subtle rhythm of life and enjoy the beautiful details of life. Flowers can add beauty to the Land and time. People with certain amount of self-control have good personalities and can appease others. By performing the flower ritual, one can enjoy the beauty of all things in nature. By enjoying the colorful aesthetic experience, once can become a part of the “beauty”, since a person’s life is supposed to be a “journey of beauty”. Seven-Cultivation Academy: Preaching Knowledge with Books and Practices. By sticking to the core principles of “integrity, clearance, harmony, integration, pleasure, calm and sincerity”, the Seven-Cultivation Academy sorts out the development history of the Chinese civilization, reproduces traditional Chinese culture in our daily life and revitalizes its impact. With the virtue, diet, kungfu, calligraphy, incense, music and flower cultivation ritual as its core, the academy broadly draw the essence of the long-lasting Chinese culture, and practices traditional Eastern lifestyle by carrying out classes, practice activities, health preservation awareness events and classic study gatherings. 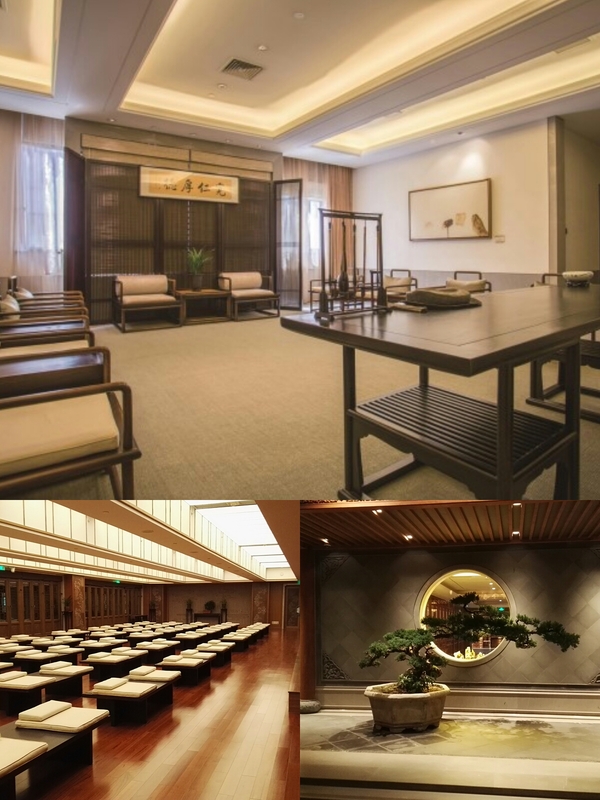 Located in the top floor of the Ovation Seven-Cultivation Hotel, the Seven-Cultivation Academy is committed to become a Chinese health preservation culture study broadcasting institution that provides all-round health services and new lifestyle ideas, while promoting the traditional Chinese culture and the beauty of life. The academy offers training class and hand-on practice years around, guests can enjoy these classes with a discounted price, and others (no-hotel-guests) need becoming a member to get training in the academy. The Ovation Seven-Cultivation Hotel is a five-star hotel with 282 exquisite and elegant guest rooms of various sizes, of which 136 are single room, 135 are double rooms, 10 guest suites, and one presidential suite. 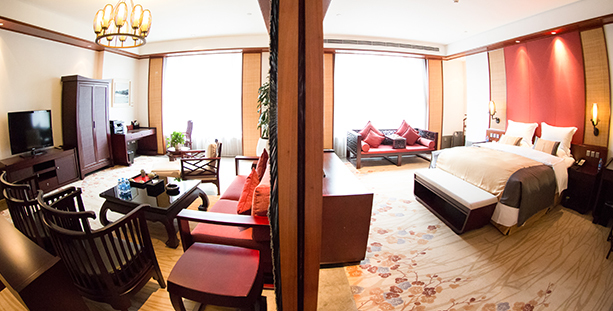 Guests can have a relaxing moment at these traditional Chinese style guest rooms. Guests receiving facilities, room incense, careful services, pottery and flower arrangement, tea sets, Zen calligraphies and paintings and the “five basic elements” music integrated with health preservation principles are provided in the guest rooms. Guests can enjoy the serenity and study Zen while relaxing here. 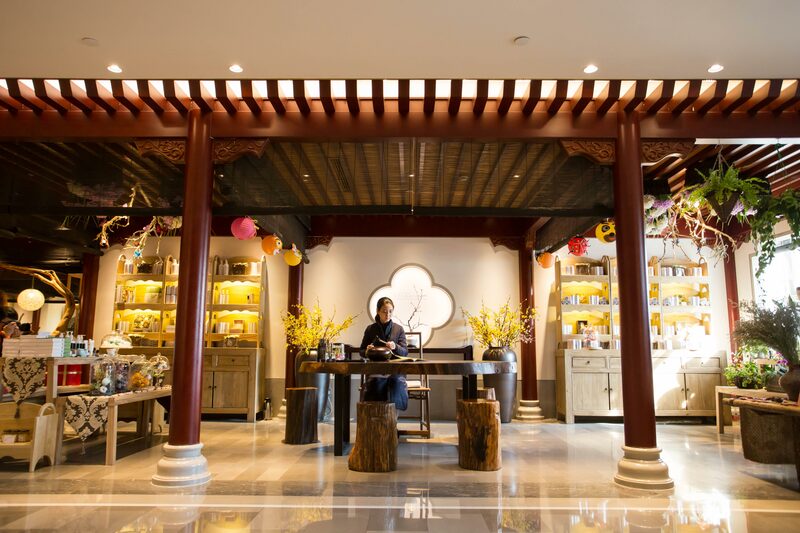 Starting in the morning, the hotel integrate the Seven-Cultivation wellness service into each details of life by holding tai chi, qigong, Chinese classics study, insense smelling, tea ceremony ritual and flower arranging ritual. The person practices the kungfu cultivation ritual regulates the flow of energy in his body by studying kungfu, builds up his integrity by leaning traditional Chinese study in the virtue cultivation ritual, — cleanses his body by reducing or cutting off food intake in the diet cultivation ritual, calms himself down with calligraphies and paintings in the calligraphy cultivation ritual, smells incense and undergoes fragrant treatment as the main methods in the incense cultivation ritual, regulates his physical and mental state with sound wave in the music cultivation ritual and heals his mind by extracting the essence of the nature in the flower cultivation ritual. There are a huge Golf Club around the hotel property, taking up an area of 3700 acres, boasts two 18-hole golf courses that are designed by IMG and live up to international standard. 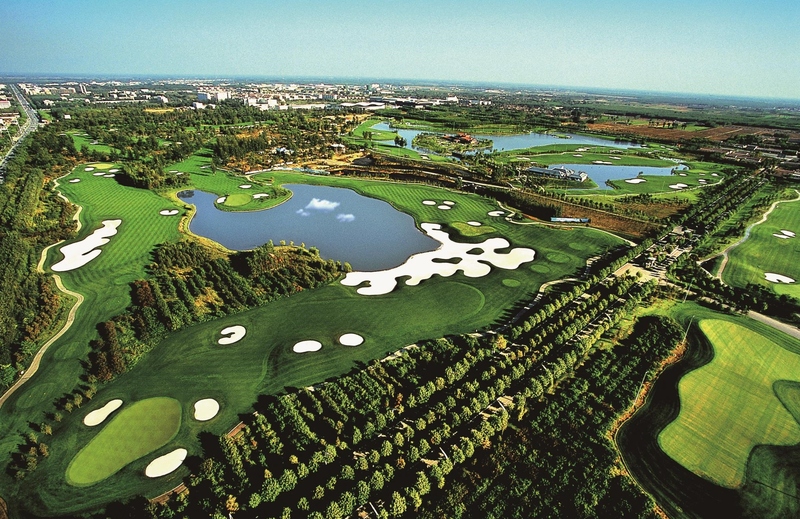 The layout reserving most peach and pear trees of the original terrain, not only inherits the natural, harmonious and elegant style of golf, but also combines with the local feature of north China, which helps spread the elegant and deep personality to every corner of the course. Xinyi Golf – a poetic and natural challenge for you. Have you been moved to take a tour to this unique resort and academy? 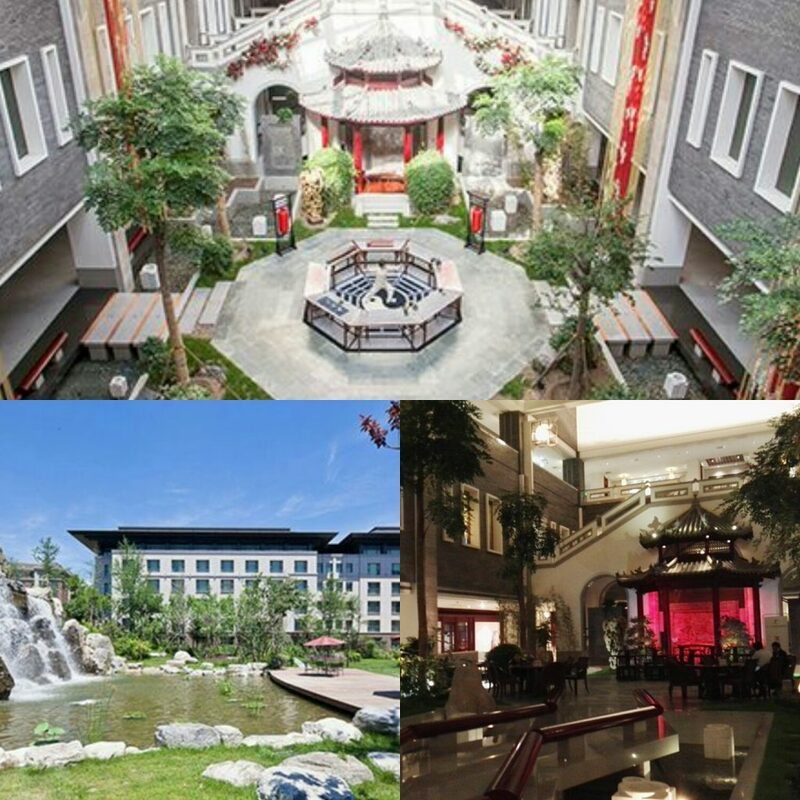 Well, my next TCM Wellness Exp Tour will include Ovation Seven-Cultivation hotel and its Center for Three-Healing. 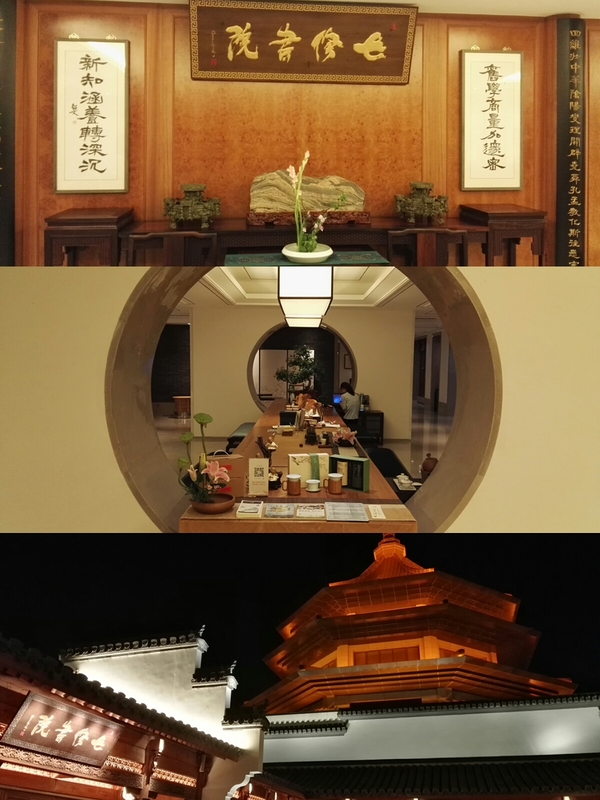 You may consider joining us in this coming October to enjoy the 5-star VIP wellness treatment in the unique yang-sheng palace in China – The Ovation Health – Center for Three Healing and the Seven-Cultivation Hotel. 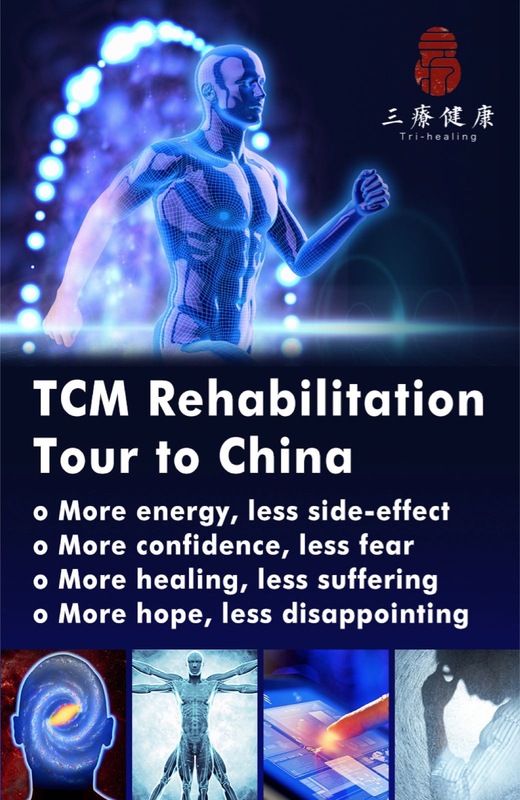 In this tour you will get a complete 3-day TCM detoxification treatment after a personal check-up and an examination by the state-of-arts biological micro-magnetic detecting system, plus you will experience many different aspects of Chinese Yang-sheng culture, such as cupping, medicinal bath, acupressure, medicinal food, music healing, and calligraphy for health. Everything will make you feel like a VIP, who is enjoying the future of wellness and health care, but won’t cost that much. This is your special treat to yourself, your once-in-a-life chance to take the tour filled with natural beauty, wellness training and health/healing opportunities. This entry was posted in Healing through Pleasure, Wellness Tour. Bookmark the permalink. looks like a new bucket list item….will have to consider how and when I can make it there…..
Would Guo Lin qigong be taught there? ?